The deadlift may be the simplest and easiest exercise to learn in all of barbell training. You pick up a loaded barbell and set it back down, keeping the bar in contact with your legs the whole way. There are a few subtle complications – the bar should move up and down the legs in a vertical line over the middle of the foot, the bar should start from a position directly over the mid-foot, and you should keep your back flat when you pull. But that’s really about all there is to it. The deadlift is one of the basic movements of which strength training is composed. Pulling things off the ground is a part of your human heritage, and bending down to pick them up is what your knees and hips are for. With the bar in your hands and your feet against the floor, your whole body is completely involved in the exercise, which means the deadlift makes the whole body strong. 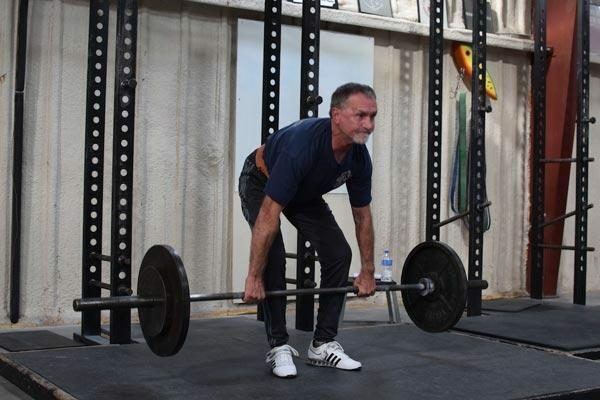 It would be very difficult to invent a more natural exercise for the body than picking up a progressively heavier barbell. “Kinetic chain” is an exercise term that refers to the musculoskeletal components (the “links”) of an exercise between the load (the barbell) and the base of support (your feet against the floor). The kinetic chain in the deadlift is essentially the entire body, and everything between hands and floor is doing its anatomically-determined proportion of the work of moving the bar. This means that your legs, hips, back, lats, arms and grip contribute the fraction of the lifting that their individual positions on the skeleton and their relationships to each other permit. Here’s the best part about barbell training: if you use good technique, your anatomy sorts out each bodypart’s contribution so that you don’t have to. 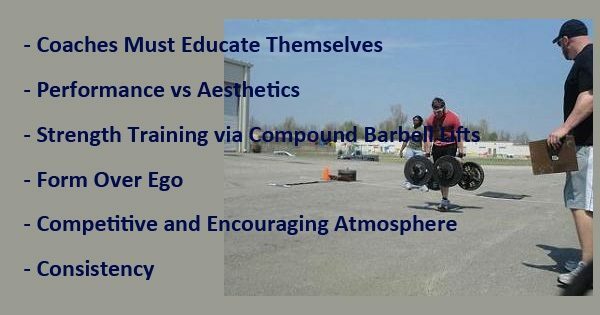 These large exercises – essentially normal human movement patterns loaded with a barbell to make them progressively heavier – eliminate the need for dozens of smaller exercises, and the strength you obtain is directly applicable to your job of being an active human. 1. 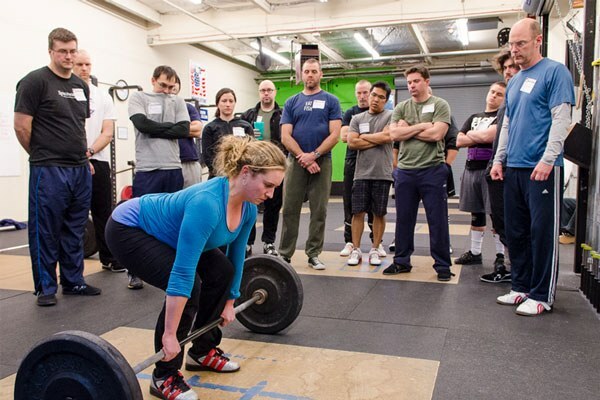 The deadlift is one of the contested events in the sport of powerlifting. If you look it up on Youtube, you will see large hairy men yelling loudly as they pull enormous weights from the floor. The current record in the deadlift is in excess of 1,000 pounds, the women’s record is over 600, and both lifters walked safely and proudly away from the platform. So, calm yourself. Be not afraid. 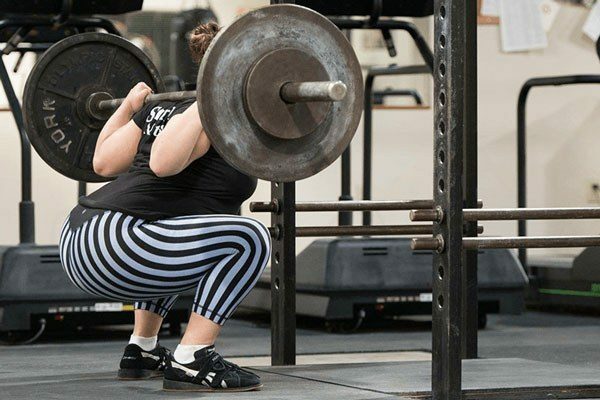 The same movement you see at the powerlifting contest can be safely used by anyone to develop a stronger back and legs. You just have to start with a lighter weight. The barbell deadlift is safer than picking up a 3-year-old kid, because the bar can be placed directly over the middle of the feet, the body’s center of balance. The ability to keep the barbell balanced directly over the mid-foot as you pull it from the floor up to the lockout position enables very heavy weights to be safely handled. And heavy weight is what makes people strong. A barbell is 1.25-inch in diameter, is engraved with a knurled pattern, and the weight plates slide onto sleeves on the ends of its 7-foot length. It therefore fits nicely in the grip, and can be centered directly above the middle of your foot, the natural balance point against the floor. Kept in this position during the movement, the load exerts no net leverage on your balance while the bar travels up and down. The deadlift is therefore a mechanically efficient, safe way to lift a weight. A correct deadlift is performed with the back in “extension” – the normal anatomical position of the spine, which looks “flat” from the side during a deadlift. It is held rigid in extension by the back muscles, the abdominals, and all the smaller muscles that lay between the ribcage and the pelvis that form what is essentially a cylinder of muscular support around the spine. These muscles get so much work during the deadlift that most people have no real reason to do situps or any other back exercises. 2. The muscles that extend your knees and hips operate the knee and hip joints, which in turn apply the force to the bones of your legs that overcomes the load on the bar and moves it up. Your back, held rigid and tight by your back muscles and abs, transmits that force up to the arms, then down to the hands and the bar. The leg segments and the back segment are the levers that move the load, the muscles are the motors that move the levers, and the arms are the chains hooked to the bar. 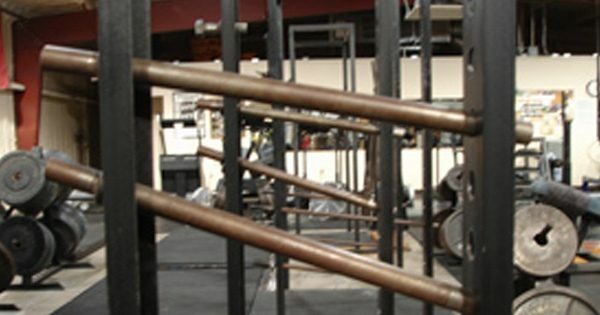 The fact that the bar leaves the ground means that the muscles have generated more force than the gravity holding the bar down. The vertebral segments of the spine can wiggle, while the thigh and shin bones are rigid, so when you pull a heavy weight while keeping your back solid, rigid, and flat throughout the pull, your back muscles have done the job of making your wiggly spine a solid lever. This makes the deadlift the best exercise for the back muscles in existence. Think with me here: Exercise strengthens muscles. If an exercise requires that you use certain muscles to perform the movement, and the movement is performed correctly, then the exercise strengthens all the muscles used in the movement as you lift progressively heavier weights. Doing it wrong doesn’t count, because poor technique means some part of the kinetic chain didn’t do its job – it failed to do the work, and therefore didn’t get strong. The use of less-than-perfect technique allows some of the muscles to weasel out of doing their job, then they fail to get strong, and then they cannot do their job. This is an extremely important point, because the fashion now is the use of lots of different exercises for each of the little pieces of the kinetic chain of the movement. For example, you don’t stop deadlifting and start doing isolation lower-back work to fix the back muscles if they cannot hold the spine flat – you stop deadlifting incorrectly by taking off enough weight to permit the back muscles to do their job correctly, and then slowly get heavier. Done with perfect technique, the deadlift is a perfect example of why the use of major multi-joint exercises is superior to a collection of smaller exercises. 3. An exercise that uses all the major levers in the body works the majority of the muscles at the same time. In addition to allowing the use of heavy weights, this spreads the work over the whole system, thus keeping the majority of the stress off of any one single joint or muscle. As a multi-joint barbell exercise, the deadlift can gradually increase in weight over a very long period of time. Starting with a light weight you can do perfectly and going up slowly from there, it is possible to improve your deadlift strength for years. This is not possible with smaller muscle group exercises, which tend to stall in progress rather quickly and which therefore lack the deadlift’s potential to make you stronger. 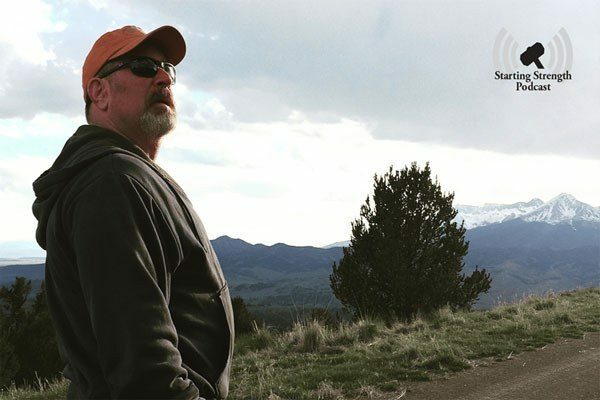 It took quite a while for the 1000-pound guy to get that strong, but his process is the same as yours – a few pounds at a time. You may have no interest in pulling 1000 pounds, but a stronger deadlift makes for a stronger you. The PJ Media version of this article was published 03/13/14.